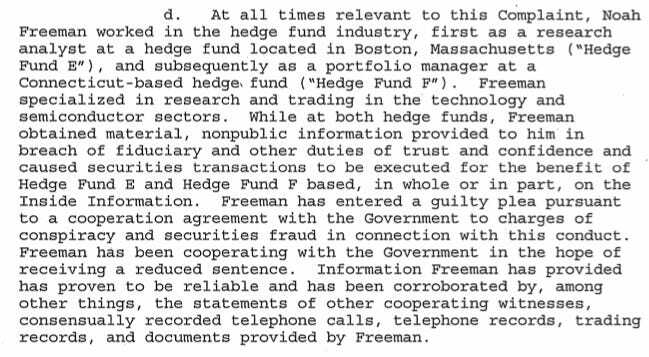 We have the name of the first former SAC Capital hedge fund employee charged with insider trading in the FBI’s massive probe: Noah Freeman. 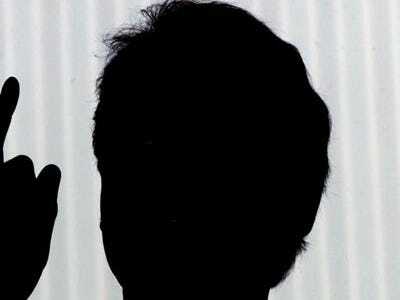 He has plead guilty already according to documents obtained by the Business Insider, and is cooperating with the feds. He left SAC, where he was a research analyst, in early 2010 according to the FBI complaint against him. 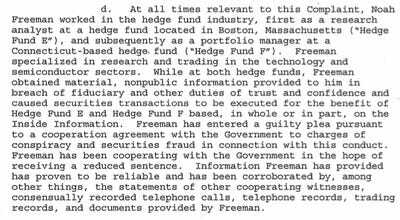 Freeman, a Harvard grad, left Brookside Capital (a subsidiary of Boston’s Bain Capital) at the end of 2004 we’re told by a source familiar with the situation, and then went to work for Sonar Capital, and then to SAC. The timing of illegal activity is supposed to have taken place between 2006 and 2010, during which time he was a managing director at Sonar Capital and a junior portfolio manager at Steve Cohen’s hedge fund, at the Boston office. Sonor and SAC shared the same office building in Boston. After leaving SAC, Freeman took a job as a teacher at the Winsor School, where he teaches economics in the history department. The semiconductor specialist at Bain Capital’s “Brookside Capital” hedge fund, a $4B equity long/short hedgeufnd. In this role I analyse potential and real semiconductor investments, and manage our semiconductor portfolio. I also consult to Bain Capital’s LBO and VC funds on all things Semiconducting.